I have a hidden field that pulls a value from a dropdown menu. The value of the hidden field is not pulled into the PDF unless, however it does work if the hidden field is changed to a single line text field. Your documentation says that hidden fields are supported, have you seen this problem before? If you are using conditional logic to hide the Dropdown field, that would cause the hidden field to be blank… other than that, the hidden field data should merge. 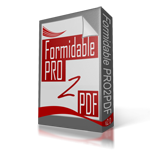 Use this form if you are able to provide a link to the form, or create a PRO2PDF template of the merge, or access to the installation so that we may further investigate.